Meydan Racecourse hosts its first Purebred Arabian meeting and first Group race of the 2016-17 season tomorrow (Thursday) as ten go to post for the AED180,000 Group 2 Bani Yas presented by Longines Passion in Equestrian. The meeting, presented by Longines, promises to be a highly entertaining affair with a number of intriguing Thoroughbred contests featuring on the seven-race card. Purebred Arabian fans are in for a treat with the opening Group 2 Bani Yas, held over 1400m, having attracted the entry of 2016 Dubai Kahayla Classic winner, AF Mathmoon. 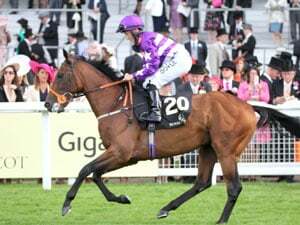 Winner of the same race last season when held in February of this year, AF Mathmoon is trained by Oasis Stables handler, Musabbeh Al Mheiri for Sheikh Hamdan Bin Rashid Al Maktoum. Sheikh Hamdan’s retained jockey, Dane O’Neill is suspended so AF Mathmoon will be reunited with stable jockey, Fernando Jara who won an Abu Dhabi handicap on this same weekend on his only previous ride on the horse. That was in the colours of Khalid Khalifa Al Nabooda, breeder of AF Mathmoon who then sold him to Sheikh Hamdan. 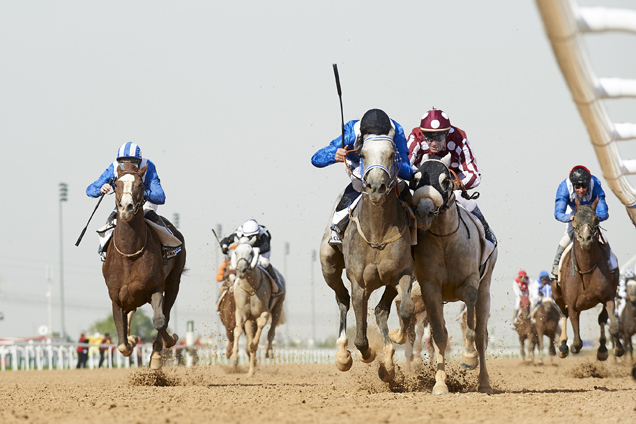 Fifth, beaten less than four lengths, in the world’s most valuable Purebred Arabian contest, Abu Dhabi’s €1.2m Sheikh Zayed bin Sultan Al Nahyan Jewel Crown, on his seasonal reappearance two weeks ago, it is hard to argue with Jara’s sentiments. The Sheikh Mansour bin Zayed Al Nahyan-owned Shateh, trained by Majed Al Jahouri and the mount of Pat Dobbs, looks the main danger. 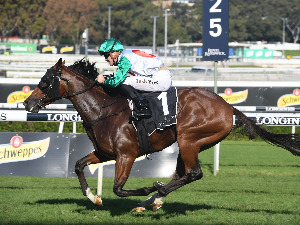 In the Thoroughbred ranks UAE Champion Trainer, Doug Watson saddles three of the 12 runners declared for the 2000m Longines Elegance Equestrian. Watson, who trains out of Red Stables, has won each of the last two renewals of this race courtesy of Henry Clay in 2014 and Jeeraan 12 months ago. Jeeraan is owned by Sheikh Hamdan, as is Nathr, who would appear the main chance of the handler’s trio of runners this year. Twice a Meydan winner last season, over 1600m and 1900m, he seems to go particularly well at the UAE’s flagship track and was second on his seasonal debut four weeks ago, in a 1600m handicap. 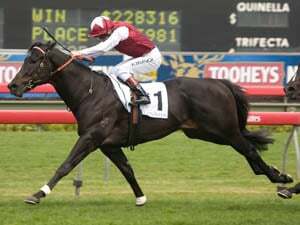 That should put him cherry ripe for this race and he is joined by stable companions Zain Eagle and Tried And True. Stable jockey, Pat Dobbs, rides Nathr. “All three are nice horses,” said Watson. “Zain Eagle shows plenty at home but has not produced it on the track on dirt. We might look for a turf option depending on how he goes. “We are trying a visor on Tried And True who works like a very good horse but has been slow out the gates on his two starts so, hopefully, the headgear will sharpen him up. Trinity Force, trained by Ali Rashid Al Rayhi, was a course and distance winner a fortnight ago - his first try at the trip when he seemed to relish the step up in distance. Respect Me, another to have won over track and trip, also looks one to consider for Ismail Mohammed. There are ten declared for the 1600m Longines Performance in Equestrian Handicap with US trainer Watson saddling padlock and Active Spirit. Watson also has a fine record in this race having saddled subsequent Godolphin Mile winner, One Man Band to win last year. Heading the weights is Stormardal, a very impressive winner a month ago over course and distance on his first start of the campaign for Ismail Mohammed. He, along with the Ahmad bin Harmash-trained Sharpalo, arrive in great form.